The Catalan capital, Barcelona is a beautiful modern city, blessed with a mild Mediterranean climate and a colourful exhibition of cultural delights and amazing natural landscapes. The Catalonian capital has become a world known year-round tourist destination. Barcelona was built around its port on the Mediterranean Sea. Being one of Europe’s most vibrant and colourful cities, Barcelona strikes with its intriguing combination of mesmerizing sea and breath=taking mountains, evolving into a centre for art and architectural design. Sangria, music and amazing natural landscapes- what could be more attractive than this? The Latin spirit can be felt everywhere. Barcelona’s streets have their sole way of making tourists never want to leave this place. Everything is full of life; people are friendly and have a great sense of hospitality. Barcelona is an ideal place for all the fun travellers out there. It is the perfect destination whether you are a romantic couple looking for a nice sweet escape or an adventurous family looking for new exciting activities or just a simple solo traveller. 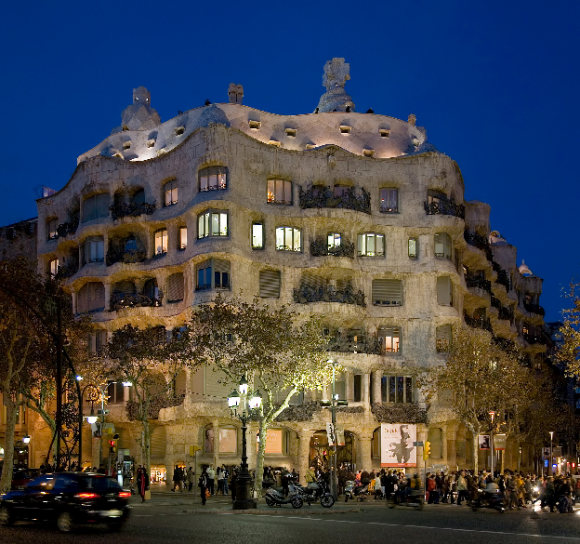 You will definitely find something tailor made for you in the splendid city of Barcelona. For those gastronomy seekers, Spain is indeed one of Europe’s leading gastronomic destinations, with an exciting culinary scene. Innovative chefs continuously develop new styles of cooking, while traditional Catalan restaurants serve local delicious flavoured dishes. Don’t miss out the famous chorizo and dried ham, or the excellent selection of seafood. As for desserts, Crema Catalana is the five star Barcelona sweet, along with delicious cakes and pastries from the Spanish cuisine. The concept ‘shop until you drop’ was definitely referring to Barcelona. It is something of a shopping paradise. You will find everything on the streets of Barcelona, from brands like Mango, Zara to international designers, like Gucci and Chanel. For those vintage seekers, browse the antique shops and boutiques located in the Gothic Quarter and El Born District. If you have a big interest in art and architecture, La Sagrada Familia would be a perfect place to visit along with the Picasso Museum and the Museum of Modern Arts. After you finish with museums take a nice long walk down Las Ramblas street, starting from the central Plaça de Catalunya ending down to the sea. For those football fans the FC Barcelona Stadium will make a real good impression and for the chocoholics the Chocolate Museum will definitely make them feel like they have stepped into heaven.